Since the threat of terrorism has become a primary issue of national security in the post 9-11 era, federal, state and local government spending on security measures inside the United States has likely topped $1 trillion. The federal government alone is responsible for the security of more than 750,000 buildings and other structures it owns or leases across the country, along with about 640 million acres of land. Not all of these buildings, structures and properties warrant the level of security provided by strategically located security guard booths, security camera systems and high-security bollards, but the federal government undoubtedly owns more guard booths than any other entity in the country. 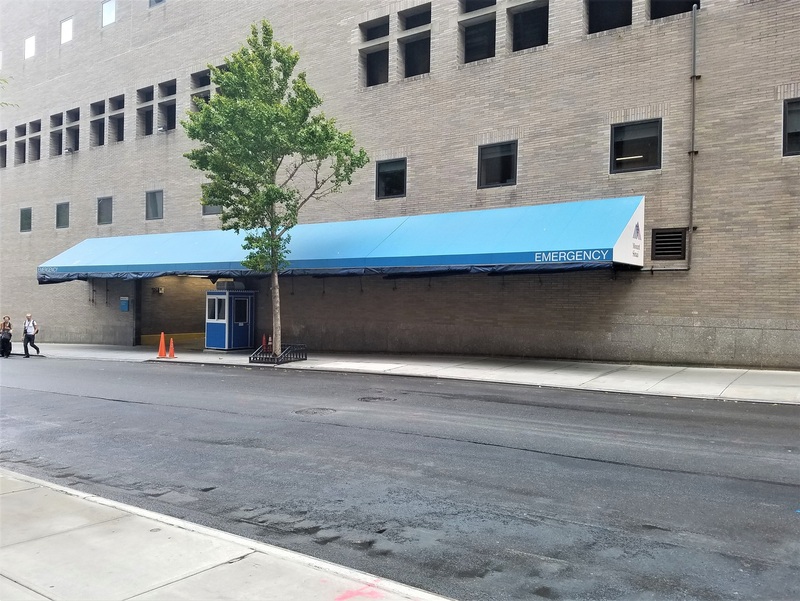 The question is, how much money does the government spend on average for a security guard booth, and how much of that money is wasted in the bureaucratic process without sufficient oversight or desire to save? If the federal government procured all of its security guard booths from Guardian Booth, we’d be able to provide you with a simple answer on how much it pays per guard booth, but in the world of government contracting nothing is simple and the answer remains elusive. In fact, with regard to what the government might pay to construct a security guard booth from the ground up…. It’s easy to spend other people’s money. So easy that accounting for how such money is actually spent often gets lost in the shuffle. Case in point being the U.S. Department of Defense, which cannot account for $6.5 trillion of tax dollars it has spent in recent years. We would assume that at least a small portion of that amount went into security guard booth procurement or construction, but trying to get a scent on the paper trail of specific Pentagon expenditures is like trying to track an escaped prisoner with a house cat. And this pretty much holds true among all federal agencies, though we were able to get a bead on how much the Department of Veteran’s Affairs (VA) spent on three guard booths during the construction of a new VA hospital in Las Vegas. That is, $108,000 each. Guess the guards are going to have to work on accessing space in the guard booths before they can control access to the facility. 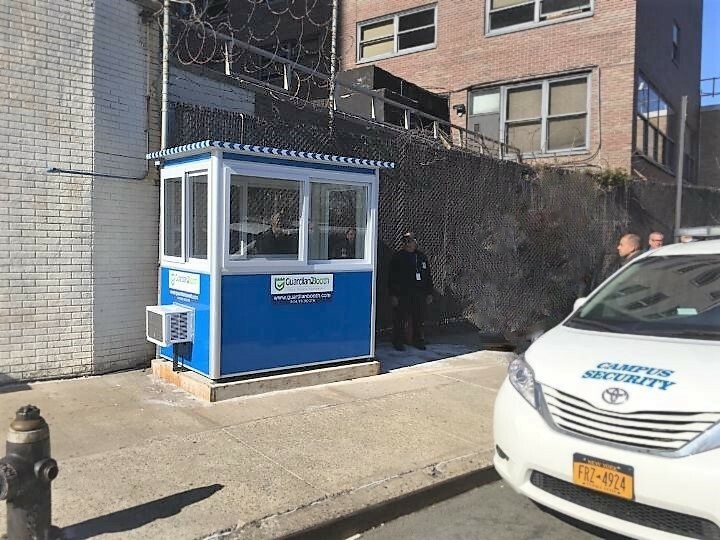 While $108,000 for construction of a guard booth may seem a bit extreme, it’s really not all that bad when compared to historic wasteful government spending like the $640 it once paid per toilet seat, $7,600 for a coffee pot, and $50,000 to investigate the bomb-sniffing capabilities of African elephants. How Much Does the Government Pay for Prefabricated Security Guard Booths? We could not find data on how much the government actually pays for prefabricated guard booths, but an examination of prices offered by General Services Administration-listed government contractors shows a range from $4,363 for an unassembled 4’x4’ unit to $43,496 for an 11’x25’ pre-assembled galvanized steel unit. With a Guardian Booth starting price of $3,495 for the 4’ x 4’ booth model for example, the federal government could realize $868 in savings over the cheapest 4’ x 4’ model currently available for sale on the GSA Marketplace, which is where government agencies are encouraged to shop for items prior to requesting a bid from the public. The government could also realize significant additional savings by the fact that the Guardian Booth model arrives fully assembled and ready to use; whereas, the cheapest model currently available on the GSA Marketplace requires additional costs for assembly. Similar and greater savings can be seen when comparing other Guardian Booth models and features with current GSA prefabricated security guard booth contractor prices. Guard booths have become a ubiquitous feature of government buildings and facilities in this age of heightened security. 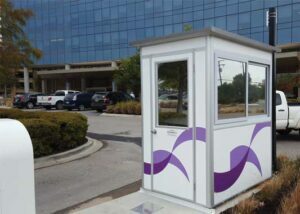 With hundreds of thousands of government facilities in potential need of the protection and security afforded by security guard booths, federal, state and local governments could pay exorbitant prices to contractors to build guard booths from the ground up, or opt for the value and ease of prefabricated models as offered by Guardian Booth.